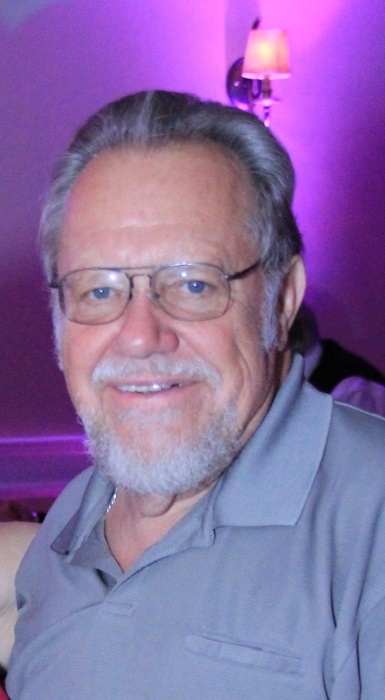 Obituary for Richard William Mellock | Shore Point Funeral Home and Cremation Services, Inc.
Richard William Mellock, 74, passed away on Tuesday, October 16, 2018 at Lakeland Regional Medical Center in Lakeland, Florida. He was born on May 13,1944 in Jersey City, New Jersey. He moved to Cliffwood New Jersey where he raised his family. In 2008, he retired to Polk City, Florida. Richard was the proprietor of M & M Auto in Atlantic Highlands, New Jersey before retirement. Richard was predeceased by his dear parents, William and Vera (Deskevich) Mellock. He is survived by his beloved wife, Olga (Motyczka) Mellock, his dear children, Gregory Richard Mellock and his wife, Kerri, of Keyport, New Jersey and Lisa Ann Mellock and her fiancé, George Quackenbush, his cherished grandchildren, Danielle Mason, Samantha Ann Burke, Matthew Mason, Megan Leigh Mellock, Patrick Ryan Burke and Nicholas Gregory Mellock, his adored great-granddaughter, Haylee Lee Bidot and his beloved pet dog, "Sunshine." Richard will be deeply missed, but never forgotten. Family and friends are invited to visit on Tuesday evening, October 23, 2018 from 5:00 PM to 9:00 PM and Wednesday morning, October 24, 2018 from 9:15 AM to 10:00 AM at the Shore Point Funeral Home and Cremation Services, Inc., 3269 State Highway/Route 35 North, Hazlet, New Jersey. A Funeral Service will be offered on Wednesday morning, October 24, 2018 at 10:30 AM at St. John's United Methodist Church, 2000 Florence Avenue, Hazlet, New Jersey 07730. In respect of Richard’s wishes, he will be privately cremated. In lieu of flowers, memorial contributions can be made in “Richard’s Memory” to Deborah Heart and Lung Center, 200 Trenton Road, Browns Mills, New Jersey 08015 or visit the website at https://demanddeborah.org. For information, directions, or to send condolences to the family, please visit, www.shorepointfh.com.